Chermas Summer Carnival. 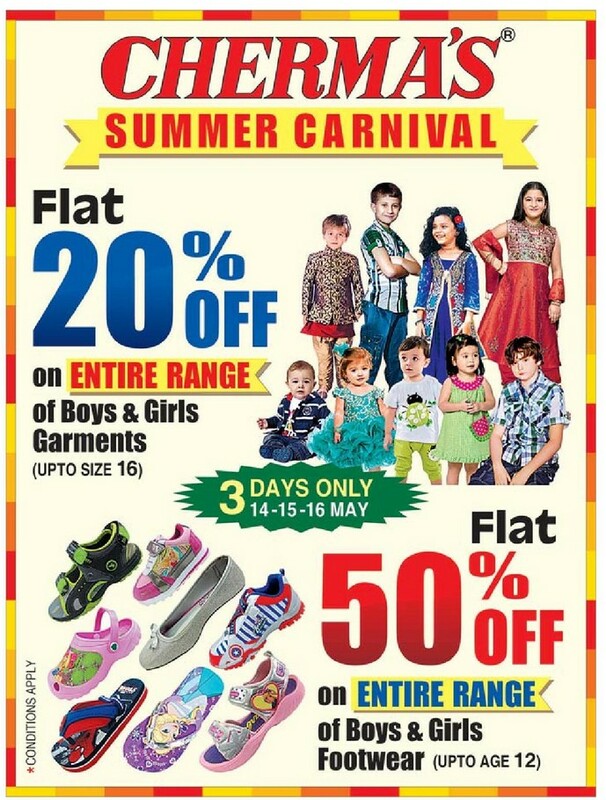 flat 20% discount offer on entire range of boys and girls garments(up to size 16). 3 days only.14-15-16 may 2016. Flat 50% off on entire range of boys and girls footwear up to age 12. This offer valid in Hyderabad city. Conditions apply.